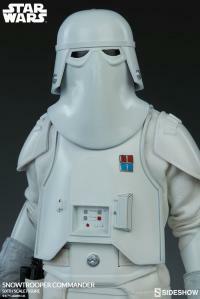 Imperial troops have entered the base! 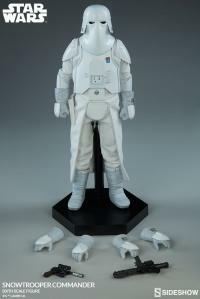 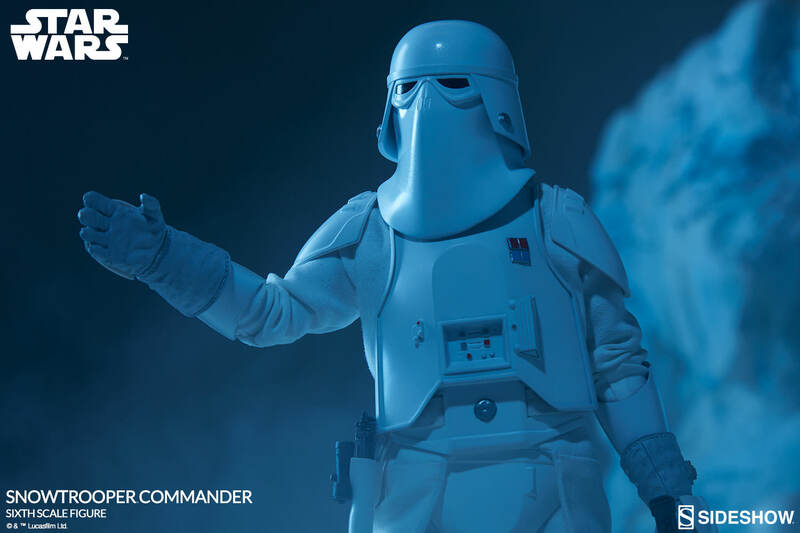 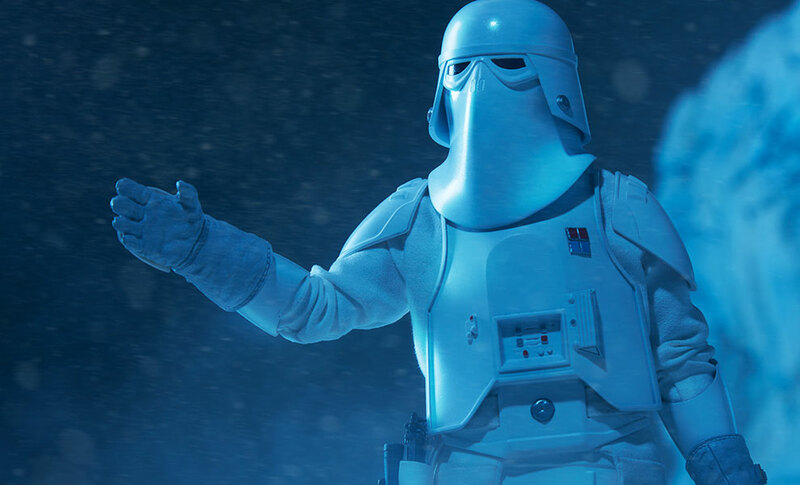 Sideshow is excited to present the Snowtrooper Commander Sixth Scale Figure to lead your Star Wars collectibles in the assault against the Rebel forces. 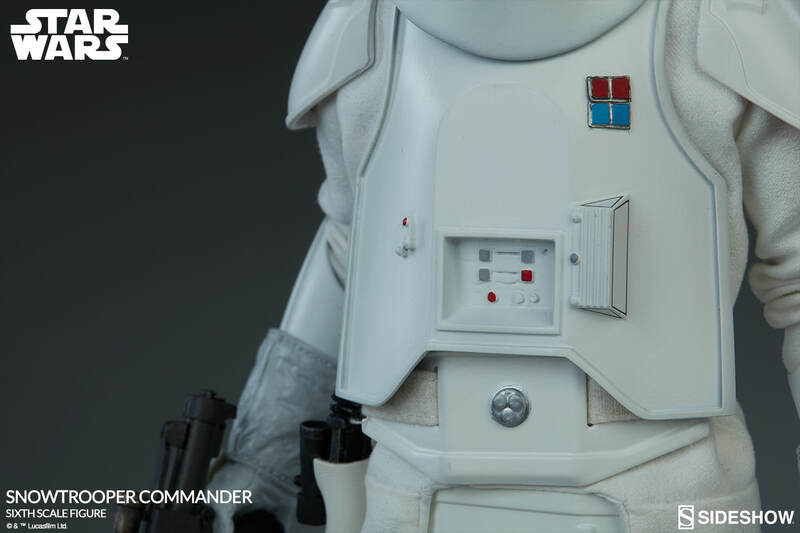 This Stormtrooper comes complete with the Empire’s best gear for launching an attack on the Hoth Rebel base to ensure a swift victory. The Snowtrooper Commander comes with a new helmet sculpt designed to help reduce snow glare on the icy expanses of Hoth. 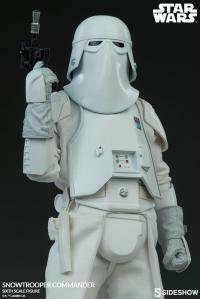 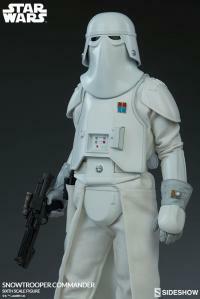 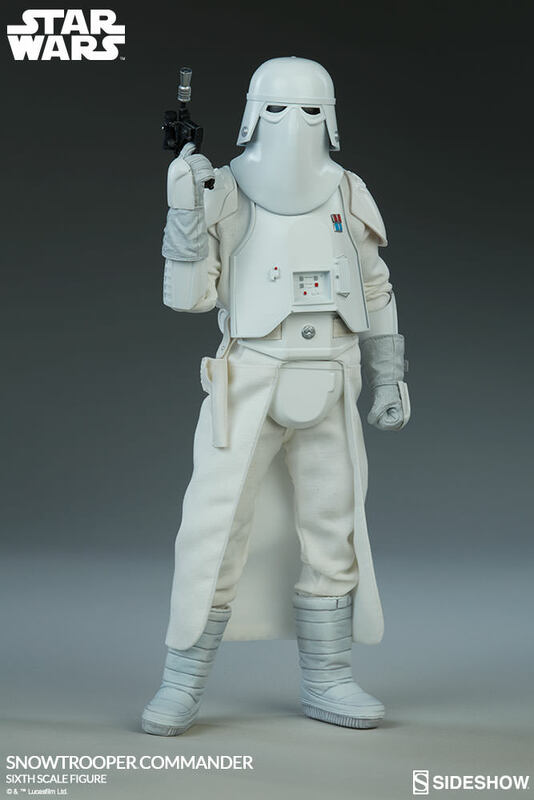 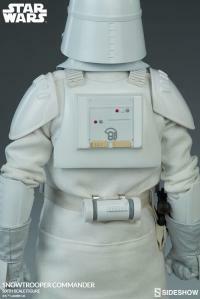 To identify rank among the subordinate Snowtroopers, the Commander also comes dressed in unique chest plate, back plate, and forearm armor for maximum protection against blaster fire. 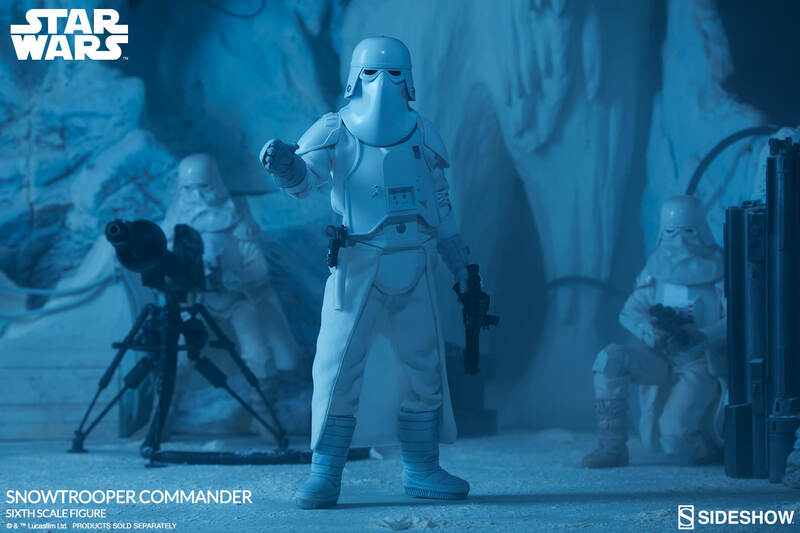 Fabric pants and a long coat ensure that the Commander stays warm in the freezing cold and has the advantage on unsuspecting enemies. This elite Imperial officer is prepared with snow boots for traversing the hostile terrain of Hoth as the AT-ATs approach for an attack. 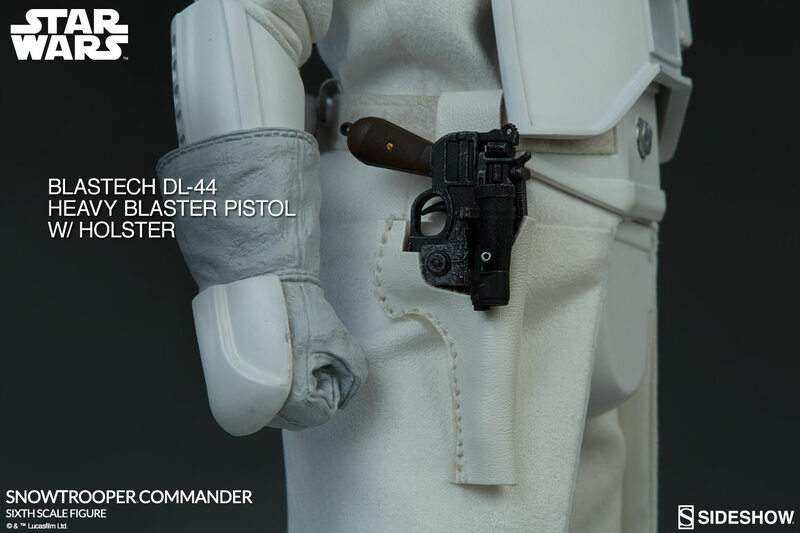 To attack Rebel forces, the Snowtrooper Commander comes equipped with a powerful BlasTech E-11 Blaster Rifle and BlasTech DL-44 Heavy Blaster Pistol. 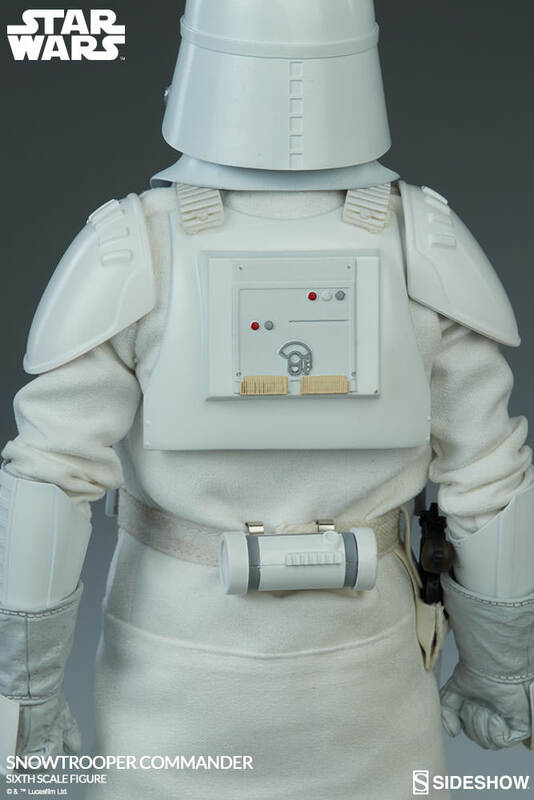 A belt-mounted thermal detonator packs an extra punch to help finish off the Rebel base's defenses. 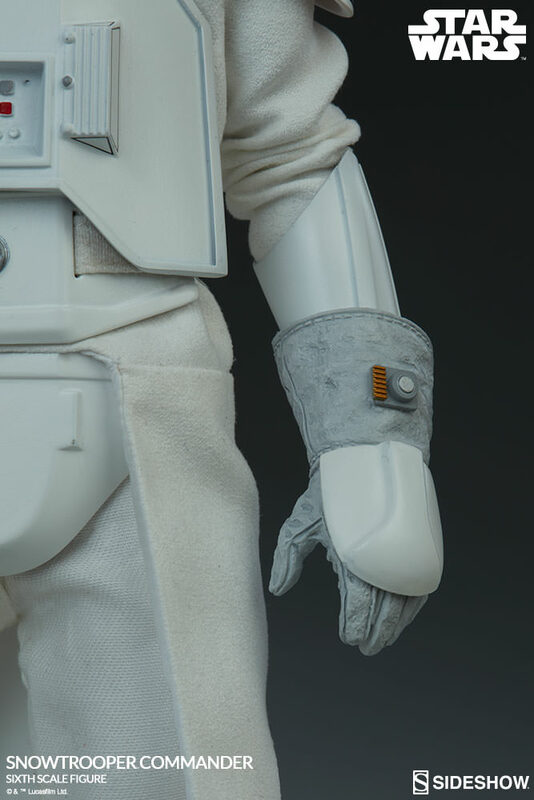 The Snowtrooper Commander comes with 3 sets of armored gauntlets, including rifle grips hands, fists, and relaxed hands, for a variety of action poses leading the Empire troops into battle. Revisit the Battle of Hoth and show off the might of the Empire with the formidable Snowtrooper Commander at the head of your collection. 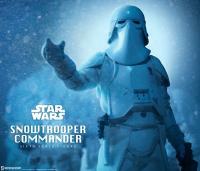 Fall in, troops! 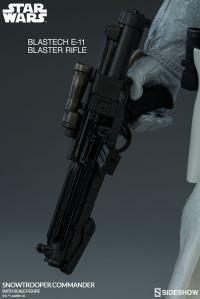 (c) & (TM) Lucasfilm Ltd.